Life as a log home owner can be time-consuming and expensive. However, with 888-LOG-GUYS, the experience taking care of your log home or log cabin can be stress-free! Our mission to is to see that we help you with whatever your log home needs are, whether it be log home restoration, log home repair, or log home maintenance. Heck, we even specialize in log home chinking and caulking and log home improvement! Let our staff and crew help put your mind at ease! We are serving the Germantown Tennessee area, and we would love to help you save time and money with your log home care! 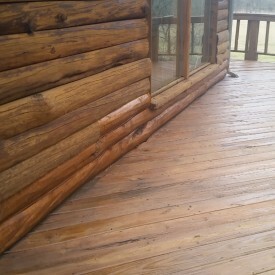 Do you remember the last time your log home or log cabin was cleaned or stained? Are you starting to notice how weathered your logs look? 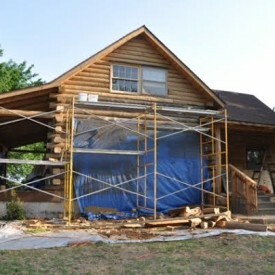 It may be time to get your log home or log cabin restored! At 888-LOG-GUYS, we can offer you the following services: media blasting (corn cob, glass, sand, or walnut blasting), sanding, cleaning (with a borate treatment), energy seal application (chinking or caulking), and staining. We have several packages that you can choose from that will restore your home with guaranteed satisfaction. Give us a call or ask for a quote from our website today! Are your logs feeling soft? Do they look as though they might be developing rot? Have you noticed an insect infestation or birds pecking holes in your logs? Tell 888-LOG-GUYS your concerns, and we will give you the best solution to keep your log home or log cabin in pristine condition! Our crew has repaired and replaced many feet of logs in the over 15 years it has been in business! You know you want that kind of experience on your side! With our services covering the Germantown TN area, we’ve got your back! Gaps in between the logs can occur as your log home or log cabin ages. Or gaps could be there from the time your log home was built. If you have noticed air drafts, water leaks, or bugs invading your home, there is no need to put up with it anymore! 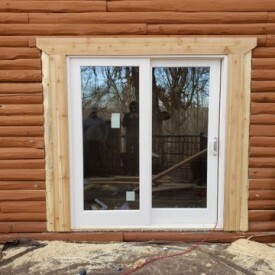 888-LOG-GUYS can apply an energy seal or repair your original chinking or caulking on your log home or log cabin to ensure your home is a cozy and comfortable place. Dial our number or send us a request for a free estimate online! Is there an addition you would like built on your log home or log cabin? 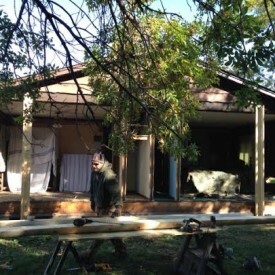 Would you like a new deck or porch, a new log staircase or log railing? 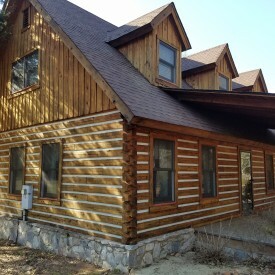 Our professional 888-LOG-GUYS crew can construct whatever it is you would like added on to your log home or log cabin. We would be happy to help you build your dreams into reality! Call us to see what we can do for you in the Germantown TN area! Are you concerned about the upkeep of your log home or log cabin? We know how important it is to stay on track of maintaining a log home. You can trust our dependable staff to keep track and be aware of when your next log home cleaning is due! 888-LOG-GUYS wants to be your log home maintenance specialists in the Germantown Tennessee area! 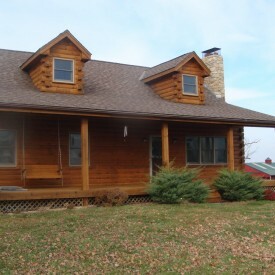 We know how to properly preserve your log home or log cabin. Call us today or ask for a free quote from our website!